A father that was attacked at Dodgers Stadium is held on life support. Conan Nolan reports for the NBC4 News on Monday, April 1, 2019. A man suffered a skull fracture and is on life support at USC Medical Center after being attacked in the parking lot of Dodger Stadium early Saturday morning, the victim's family told NBC4. The incident occurred at around 1 a.m., Los Angeles Police Department Sgt. Chris Gomez said, near the end of the Dodgers' extra innings game against the Arizona Diamondbacks. 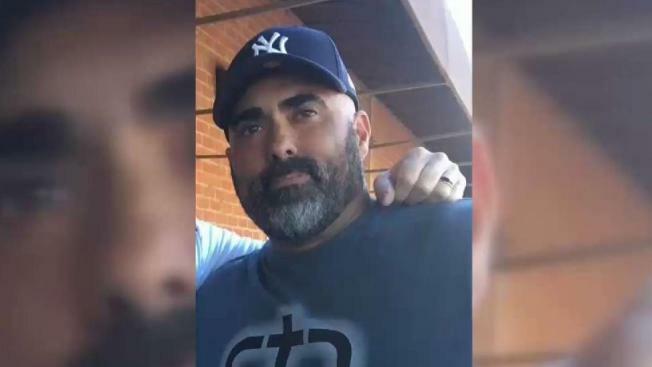 The victim was a 45-year-old man, identified by his family as Rafael Reyna, a fan of the Los Angeles Dodgers. The victim's wife, Christel Reyna, told NBC4 that she was on Facetime with her husband when she heard another woman yell, "Why did you do that?" Reyna said she watched as a man then approached her husband and started cursing at him before she heard the sound of a crack and the screen went black. "I'm panicked. I'm screaming in the phone and nobody is hearing me," she said. "Nobody is answering me. And I could hear my husband moaning." Christel Reyna said the couple has three minor children, aged 11, 12 and 13, along with an adult son. Rafael Reyna was in the hospital in serious condition related to head trauma from striking his head on concrete, Gomez said. The victim's family has set up a GoFundMe. If you would like to donate to a GoFundMe, you may do so here. Note that GoFundMe deducts a percentage of all funds raised in the form of platform and payment processing charges. No arrests were immediately made and no suspect descriptions were immediately available. On Saturday night, the LAPD said the incident was being labeled an assault, and was no longer considered an altercation. The Robbery-Homicide division was taking over the investigation, the LAPD said. "Last night, an altercation occurred suddenly between two men who were leaving the stadium. One of the men was injured as a result of the altercation. A witness immediately reported the incident to stadium personnel, and emergency medical technicians were promptly dispatched to provide medical assistance at the scene. The matter is now being investigated by the Los Angeles Police Department, and the Dodgers are cooperating fully with the investigation." An attack outside Dodger Stadium in 2011 left a Santa Cruz man and San Francisco Giants fan, Bryan Stow, severely brain-damaged. Following that attack, security was stepped up outside Dodger Stadium. Note: An earlier version of this article identified the victim as a father of three. The family confirmed that the victim has four children, three of whom are minors.